A crop health monitoring solution for hilly terrains. Vineyards, tea farms, and more. 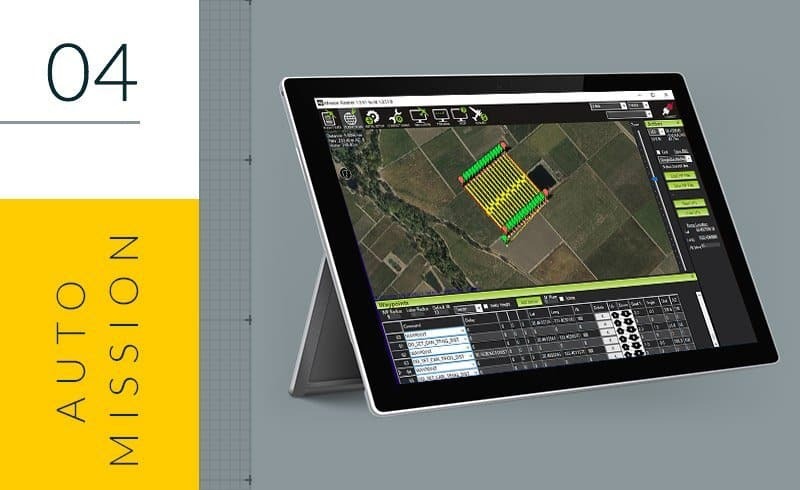 High Precision Agriculture to the next level! With Ainstein’s acclaimed drone radar altimeter, our crop monitoring drone solution is designed for rough terrain! 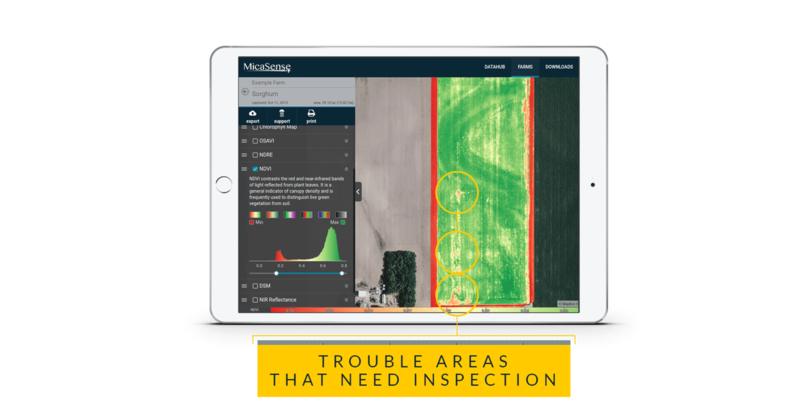 It is the only market-ready solution that maintains a constant above-crop canopy elevation, ensuring more accurate and precise readings of your fields with MicaSense RedEdge-M Sensor. 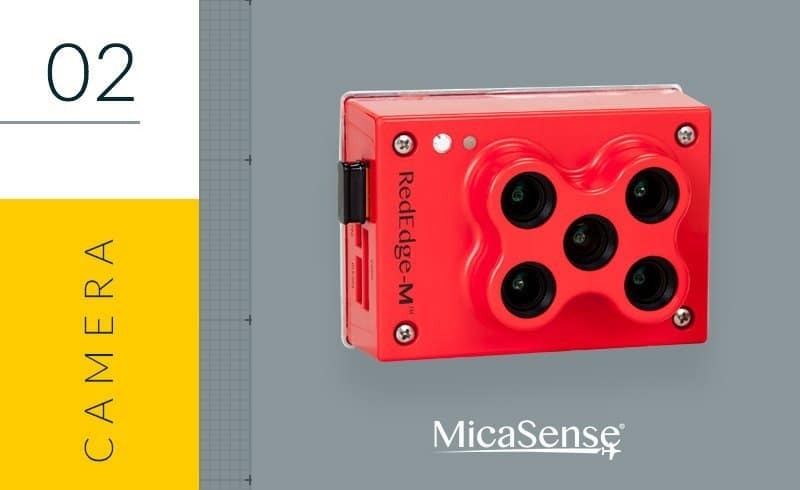 can reliably measure crops vigor and health with higher precision, using the MicaSense RedEdge-M sensor. You can meaningfully compare images taken over different flights, and take action quickly. A field tested, turn-key drone platform! 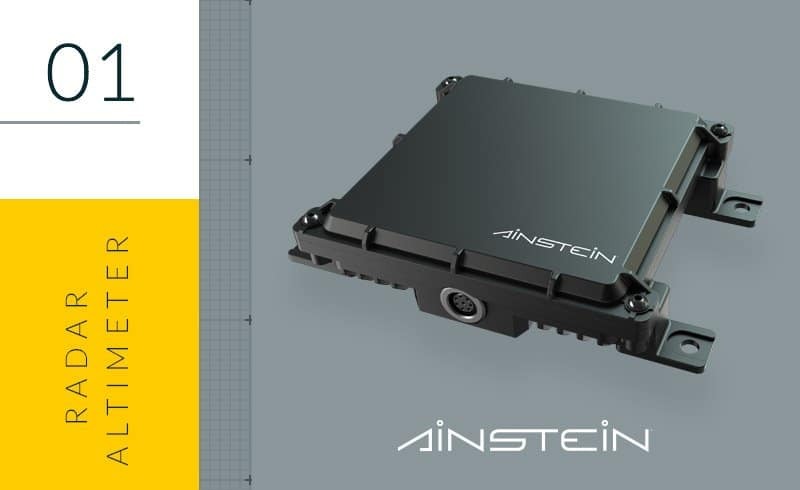 Ainstein UAV Radar Altimeter that maintains 40m – 100m distance from crop canopy to the drone. 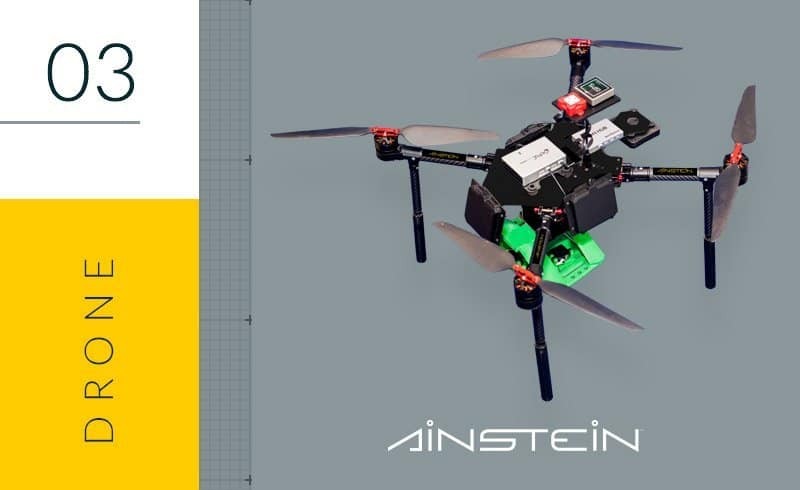 Ainstein Ready To Fly Smart Drone Development Platform, equipped with collision avoidance radar sensors. 50 min flight time. Compatible with open source mission planning and ground control softwares. It can take hours or even days to walk or drive the field and check for problems with poor foliage development. Why not have a drone do it for you? The above image is example data captures by a RedEdge camera. It scanned the field and automatically identifies potential problem areas with distressed plants. You can then go directly to these areas to apply corrective action, rather than walking the entire field. Need a custom solution that is just right for your vineyard or farm? Contact us today to see how we can do this for you!